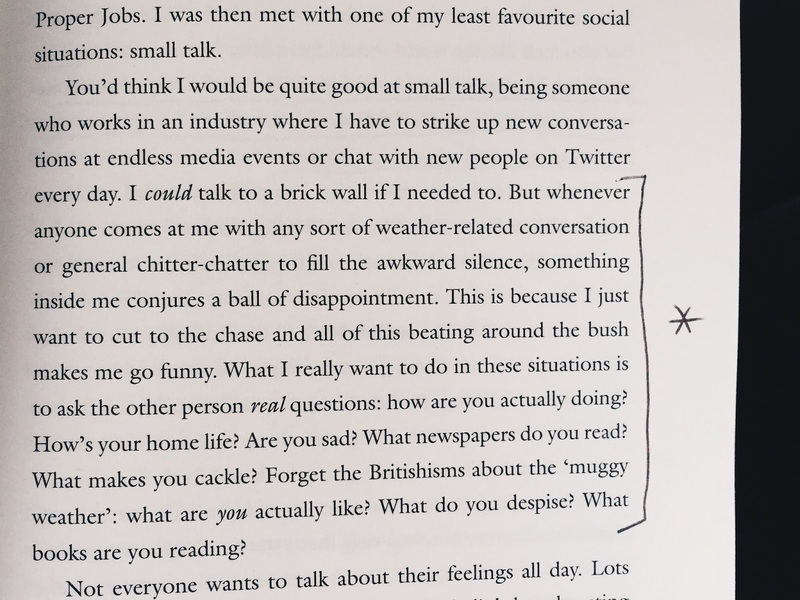 I finished Emma Gannon's "Ctrl Alt Delete: How I Grew Up Online" this past weekend (read it within a week) (because that's what five-hour drives are good for) and loved it so much that I wanted it to shine in its own spotlight. There's too much I want to say about it for it to be grouped in with my monthly reads. "Ctrl Alt Delete" is a memoir, Emma's collection of anecdotes on how she grew up alongside the Internet. Weaved within them all is her humor, honesty, and overall brilliance, all tied together with thought-provoking principles – sexism and double standards, faking it online, and what it means to be successful in today's Internet age, to name a few. Now I don't buy books too often because I'm not much of a re-reader, but I knew this would be an exception. This was one I knew I'd want to own. And I was right, because my copy is filled with underlines and dog-eared pages. Ultimately, it all just feels very real. Emma is an exceptional, successful woman, but also a regular person who had regular life struggles like the rest of us. The blog-focused chapter in particular was the most encouraging and inspirational to me. At one point, Emma recalls the point in time where she had her blog for two years and was primarily using it "to write and connect with other people." Seeing how successful her and her blog are today, it's easy to forget that it wasn't always like that. Blogs take work. Gaining an audience takes work. None of it happens overnight. And it's refreshing to hear about her pure intentions with it all. It was a comforting reminder that just because my blog isn't "huge" doesn't mean it doesn't have an impact, or that it won't (continue to) grow into something more substantial in the future. "An honest blog is the only way it can be successful." So many parts of this book had me internally screaming, YES, ME TOO, which is gratifying as a reader, obviously, but also as a writer, because I know that's what many writers strive for. That ME TOO is often what makes it all worth it. So Emma, know that as we made our way through your stories – even the awkward ones – many of us were nodding along, because you hit the nail on the head. You've put our feelings into perfectly chosen words, sometimes those we didn't even realize we had. Well done. "After all, how can you get anywhere if you don't let people know you exist?" "It's not about being right, or the best, or the loudest. It's about being brave enough to show up, despite criticism and anxiety." "Because isn't this the point of sharing? Being able to affect someone's life, for good? Daring to be vulnerable is brave. Daring to speak up about the unspeakable is a powerful thing. We are constantly influenced and affected by people we will never meet."